If you’re not in Paris right now, you missed it. Parcours des Mondes is now undeniably the ultimate event on earth for non-western art or arts premier *. It takes place in Paris every September, and if you’re not there now, you missed it, because it ends tomorrow. Book now for next year. 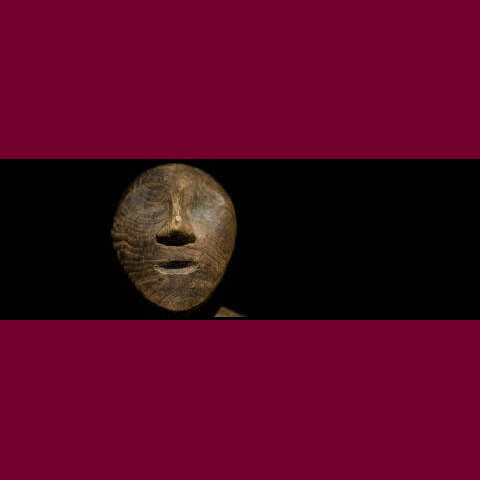 During this extraordinary week, the galleries of Saint Germain are taken over by five dozen or so of the world’s most distinguished tribal art dealers – – those with the sharpest eye, the deepest understanding, the best sources, and the most discriminating tastes. After eight years in existence, Parcours has begun to shake the tectonic plates of the global art trade, garnering attention from the highest echelons of art cognoscenti and the media. That is as it should be. With contemporary art looking like the painted stepsister of a dodgy derivatives investment, it’s not surprising to find timeless art that reaches deep into the roots of humanity and arises directly from those roots, maintaining its stature, and even growing it. Parcours is the proof – – ça marche. In a time when almost nothing works (including a lot of contemporary art dealers), arts premier works. And why shouldn’t it? Tribal art has always been about efficacy – – in proclaiming power, warding off disease, cultivating fertility, and establishing a place in this confusing universe. Ça definitely marche. So it is no surprise that Parcours with all its constituent appendages and manifestations (which have become manifold, from society vernissages, to all manner of challenging small thematic exhibitions), is abuzz with interest. During Parcours this year, constellations of stars and celebs have been spotted in increasing numbers in the fabled lanes of Saint Germain, rubbing Birkin Bags with Russian and Chinese tycoons. The paparazzi can’t be far behind. Beware, for next year. Don those black Persols for Parcours 2010. En garde, Venice. En garde, Miami. Basel, en garde! Despite its patronage among celebrities and the cultured and still-moneyed elite, “tribal art” (as it is called in English, referring to all of the manifold animistic arts of peoples not under the the hegemonic hold of European, Chinese, or Indian high culture), is not hot in the pop culture sense, where anything “hot” is soon to be burnt to a crisp. That is precisely the point. These artefacts are not and never were about being “hot”. They are about something else entirely. They were conceived and forged and carved and crafted to firewalk the bonfire of the Bonfire of the Vanities. Perhaps that’s why their power and appeal is so perennial, and so atttractive at a time when almost all that we have cared about too much for too long feels so painfully ephemeral. Whatever the reason, arts premier is gaining ground in a down-sliding world. These objects of power and purpose were intended to establish a hotline to the infinite. And they do. They are programmed to speed-dial The Sublime. They are talismanic and more. More talismanic than a Swarovski-encrusted iPhone 3G. Whether the form is a mask, an effigy, a cape, or a casket, there was no reason to create these things other than to effect a Skype chat with The Divine. They certainly weren’t created to express political views, social criticism, or superficial savvy – – or to garner a market share among the gallery-goers of their gallery-less day. So, enough of waxing poetic. Go to Parcours next year if you missed it this year. We can’t guarantee the weather will be as good in 2010 as it was this time around, when Paris pulled off a perfect Indian summer (apropos, for those showing Indian or, ahem, Native American arts). The fine weather drew even the most reclusive tribalistes to the terraces of the ever-popular brasseries of Rue Jacques Callot (above). The bucolic scene was a fine farewell to summer, and a poignant punctuation point to mark la rentrée in Paris. Even the crustiest merchants took the air. That looks like Alain Schoffel striking a deal at Café Mazarine (below), or arguing a point, or perhaps fielding a protest regarding his preferred terms of payment. But what about Schoffel’s mudra, which on magnification (below), appears entirely distinct from any known ancient Buddhist or Hindu mudra. Does the gentleman to whom he is speaking (looks like publisher Johan Ghysels), have any inkling? Getting back to the main plot. The leitmotif of this year’s Parcours was “The Dealer,” which sounds a bit more lyrical in French, when rendered Le Marchand. The focal group exhibition with red carpet gala opening, at the Palais de la Monnaie (below), which served to send flares into the social stratosphere about the whole fair, was entitled, “The Dealer’s Eye: A Passion for Tribal Art.” Very smart on the part of the organisers. The dealers pay to participate, and a pretty penny they pay, I might add. To tip one’s hat to the much-maligned traders in arts premiers was a brilliant tactical move. And it’s good for the tribal art market as a whole (whoops, arts premier market), which has suffered for decades from the unsavory reputations of its dealers, sometimes deserved, occasionally not. The buccaneer days of tribal art trading are evidently over. This is a “gentleman’s trade” now, they say, and the figures realized for good artefacts serve to support that, just as they support the Lifestyles of the New, Few, Rich and Famous among today’s dealers in arts premier. * Arts premier is the preferred term recently adopted by the French, for what has long been known as “tribal art”. While “tribal art” carries all manner of negative connotations, and inaccurate implications, among anglophones we have yet to come up with a better term. Hats off to the French for coining a phrase in the 21st century that may become a globally understood term for a broad category of arts and artefacts. If we can learn to pronounce it, that is. Broadcast journalists, help us out here. The more we hear it, the more we will be able to repeat it, (rather like we all learned to pronounce “Barack Obama” and “Mujahideen” and “nuclear”). Anyhow, let’s banish the term “tribal art” for good, whether or not we become comfortable saying “arts premier” or not. Personally, I am quite taken by Thomas Murray’s alternative term “animistic arts”. Go, Tom. That’s his rather lovely lawon above, from the Parcours des Mondes 2009 catalog. Nice to see a textile shown so prominently. And I thought it looked nice with the hues of the Palais de la Monnaie images above it. TTFN.